Tintin with a tauntaun. That is all. If we're going to place Benjamin Rivers' illustration of Hergé's boy adventurer in canon, then the Himalayas must be chock full of bipedal creatures whose olfactory formidableness is perpetually underestimated. 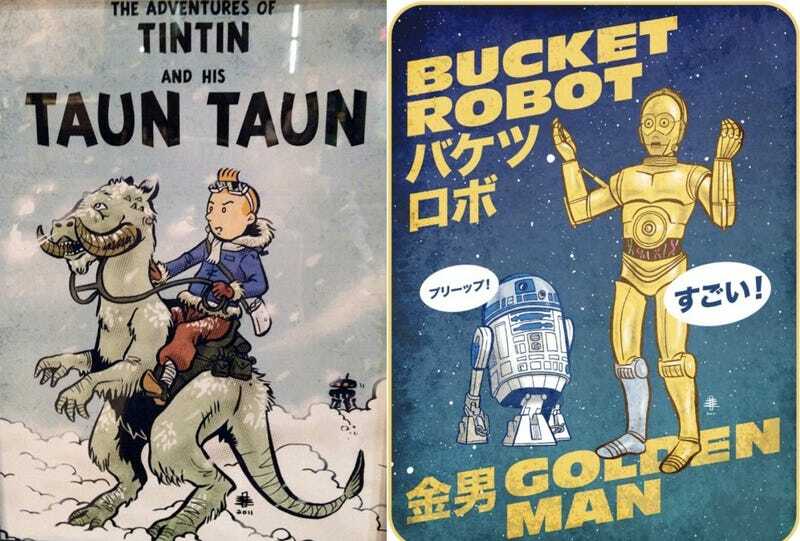 Additionally, you can find a print celebrating the lost Japanese robot classic Bucket Robot and Golden Man over at Rivers' site. Click on the above image to expand. See also: Tintin's many screwed-up fan fiction adventures. Is this Tintin&apos;s final, xenomorphic adventure? What if Tintin had his own Iron Man armor?